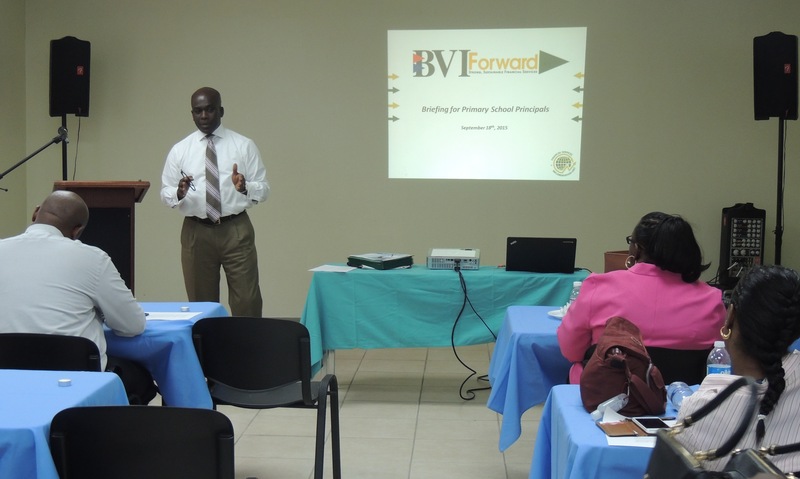 The newly established Financial Services Implementation Unit (FSIU) is moving swiftly to engage teachers in the British Virgin Islands as part of the BVI Forward campaign. Director of the FSIU, Mr. Kedrick Malone, accompanied by Delivery Specialist, Ms. Monique Hodge-Bell and Communications Specialist, Ms. Philomena Robertson, delivered a presentation to principals of primary schools in which he identified potential areas of partnership. Mr. Malone also mentioned the possibility of identifying champions within the primary schools who can serve as ambassadors among their peers. The principals welcomed the ideas put forward by the FSIU Director who also encouraged them to share any other ideas on how to better engage the youngsters in the BVI on the subject of financial services. Mr. Malone stressed the need for students to be made aware that the BVI is part of a global system that includes other countries and cultures and that they be introduced to these countries and cultures. 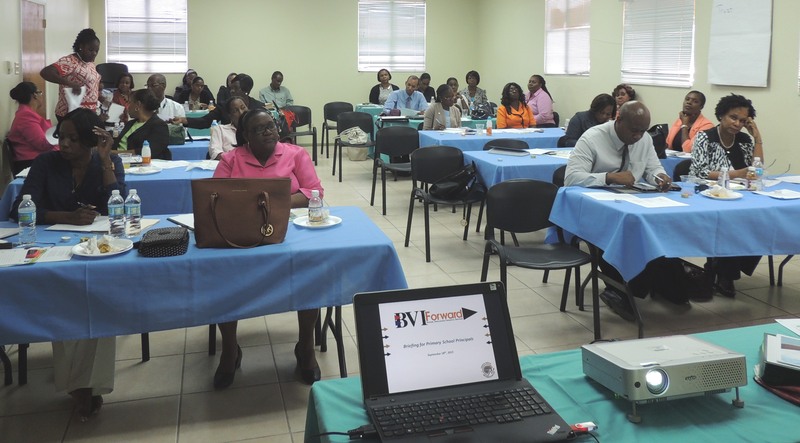 BVI Forward is a campaign designed to further strengthen the internationally recognised financial services sector in the BVI and increase the awareness and engagement of its population in the process. The campaign is part of efforts to build upon the successes of the financial services industry and encourage greater involvement by key stakeholders in ensuring its sustainable future.